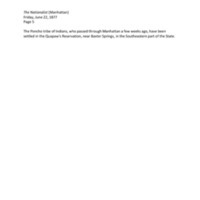 Nebraska and Kansas newspaper comments on passage of Ponca through towns. 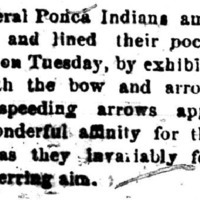 An account of the first group of Ponca passing through Columbus, NE on their way to Indian Territory. 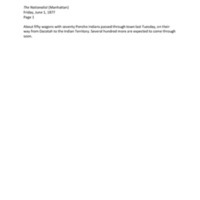 An account of the first group of Ponca passing through Seward on their way to Indian Territory. 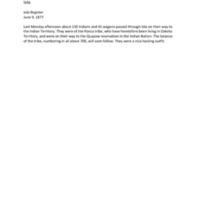 An account of the first group of Ponca passing through Neligh, NE. 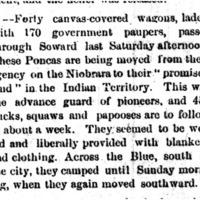 The first group of Ponca's passage through Columbus, NE. 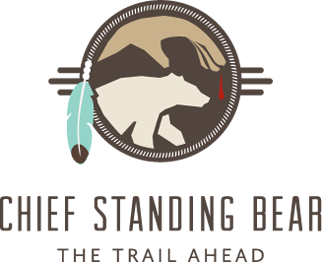 The first group of Ponca pass through the towns of Crete, Wilber, and DeWitt. 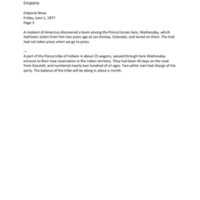 Passage of the Ponca through Emporia, KS. 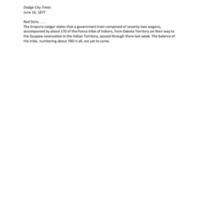 Passage of the Ponca through Emporia; commentary about Emporia Ledger's report. 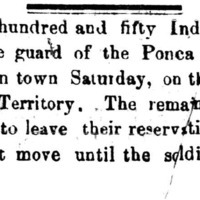 Passage of the Ponca through Iola, KS. 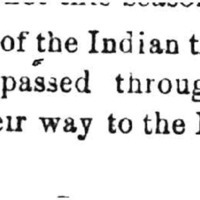 Passage of the Ponca through Manhattan, KS. 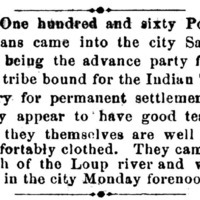 Arrival of Ponca tribe at the Quapaw's Reservation.